Darren Barker could be next for Julio Cesar Chavez Jr.
By William Mackay: If Top Rank promoter Bob Arum is unable to set up a fight between his fighter WBC middleweight champion Julio Cesar Chavez Jr. and Saul “Canelo” Alvarez, Chavez Jr. could wind up facing British middleweight Darren Barker (23-1, 14 KO’s) next rather than some of the dangerous contenders. Barker, ranked #7 by the World Boxing Council, is coming off of an 11th round TKO loss to Emeritus WBC middleweight champion Sergio Martinez last October. Barker gave Martinez problems for much of the fight until Martinez solved the Barker riddle and took him out with some big power shots. By Chavez Jr. facing Barker, it would give Chavez Jr. and his promoter a good idea where Chavez Jr. stands in comparison to Martinez. However, it could backfire on Arum if he makes this fight because Barker has the tools to beat Chavez Jr. and he could ruin Chavez’s dreams of an Alvarez fight. Hearn has been talking to Chavez’s promoter about a Barker-Chavez fight. This could be the direction Chavez Jr. goes in if he doesn’t get the Alvarez fight, because the other possibilities are much too dangerous for Chavez Jr. Barker is a skilled boxer, but he’s not the puncher that middleweight contenders like Martinez, Marco Antonio Rubio and Andy Lee are. Chavez Jr. would have to come up with some other ideas to beat Barker, though, because the Chavez Jr. that beat Peter Manfredo Jr. last night would have serious problems against Barker. Chavez Jr. was in with a punching back last night that wasn’t throwing back all that much. Barker would be throwing punches and sticking a hard jab in Chavez’s face all night long. 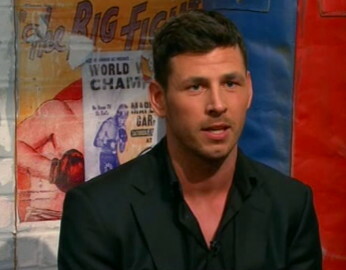 Boxing » Darren Barker » Darren Barker could be next for Julio Cesar Chavez Jr.
More boxing news on: Barker vs. Chavez, Barker-Chavez ,Darren Barker, Julio Cesar Chavez Jr.